What are the elements of a valid moving contract? The moving contract may come in handy. It really can. It is something you need in order to ensure your and the safety of your belongings. And that is what matters the most. Even when moving to another state such as Tennessee. It matters. Always. And it always will. 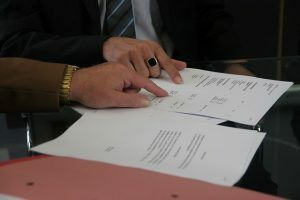 But, if you are wondering what are the elements of a valid moving contract – keep on reading and learn more about them! First thing’s first – a moving contract is an agreement reached both by a mover and a party interested in hiring a mover for some help. 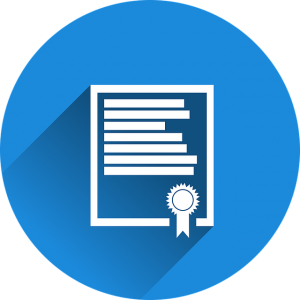 There are two types of contracts – written and verbal ones. And even if a handshake deal sounds much easier, and in most cases is the only contract people have, it is really not your best choice. And for many reasons. As we mentioned before, you need a moving contract for your own safety. And if something goes wrong, missing or ends up broken you won’t have any evidence. You not having any evidence of a moving contract won’t help you much in the court of law. That is exactly where a written moving contract comes in handy. In most cases, you won’t even need or use it. But, if you end up needing it – it is always better to have a written agreement in place. For your own safety. Having this little piece of paper in place can save you a lot of trouble. So, help yourself and make sure your paper has all elements of a valid moving contract. The agreement you have reached with your mover must be valid. Or a court won’t have the power to enforce it. But, what are the elements of a valid moving contract? Not everything is considered a contract. So, if you call your mover and ask for something – just talking about it isn’t actually an offer. A party must offer something in order for a contract to be valid. That something can be a service, material goods or else. But it must be something that a service provider offers to another party in exchange for something else. And that something can be money. Or material goods. Or even another type of service. However, an offering must be made in order for a contract to be valid. And that something is exactly a consideration. It can be another service, material goods or money. But, you’ll need to pay your mover somehow. And that is what consideration is. Every contract must be supported by a consideration in order to make all the other elements of a moving contract valid. Both parties must agree and understand every element of a moving contract. Both you and a mover of your choice must understand and agree to all the terms. Also, both parties must accept the offer and consideration offered in return. This rule is at the core of every valid moving contract. No matter if you are planning on making a long distance move or looking for packing services – this rule stands. These are some basic elements of a valid moving contract you should be aware of. Always. Your safety and the safety of your belongings comes first. No matter what. It is just the way things are and should be. So, think about that before looking for a cheap mover. Not at all. With or without signing a contract. Actually, signing a valid moving contract can save you a large amount of money. And it will all pay off in the end. How? Well, it will help you avoid moving scams. And if something goes wrong, damaged or ends up lost or broken – you always have the law by your side. And besides a reliable moving company on your team, you can’t have anyone better there than the law. It will protect you from potential moving scams and fraudulent movers. Not to mention accidents. So – think about signing that contract once more. But, this time give it some time. This step matters. You need to know what is it that you are signing before you actually do it. Read the whole contract. Evaluate every word. Are there all elements of a valid moving contract? Is it reliable? Does it cover every aspect of your move? Because it should. It should protect both parties – you and your mover. And if it all checks our – sign it as a sign of a good will. Stick with licensed and properly insured moving companies and avoid common moving scams. How? By finding a reliable mover you can trust. It is that easy. It doesn’t matter if you are moving long distance to Alabama or Alaska – there are many moving companies on the market. And most of them really are trustworthy and will offer you a contract that contains all elements of a valid moving contract. All you have to do is to find yourself such a company. Feel free to use our database, and we are more than confident that you will find a mover that satisfies all your needs sooner than you think. So, wait no more and give it a go! There is no need for you to waste any of your precious time. The sooner you start preparing for your upcoming move, the better. So, how about now? It sounds right!